Home »Janet Pasila, P.A., B.Ed. Janet has taught violin for twenty years. She teaches all levels of the Suzuki repertoire and also prepares violin and viola students for RCM exams. Every year her students win awards in music competitions. Some have won Silver Medals for obtaining the highest RCM mark in their grade in Ontario. Also, some have been accepted into the prestigious SAA orchestra which is an honour only a few Canadians enjoy. Every year Janet spends five or six weeks in New York working with renowned violin pedagogue and author Burton Kaplan. During her time in New York, Janet attends daily masterclasses and lessons. She exchanges ideas with other performers and teachers from Canada, the United States, and abroad. She enjoys the opportunity to rehearse and perform solo repertoire with a world class pianist who toured with Midori. After every session Janet returns home with new insights and ideas for her students. She is constantly expanding her pedagogical knowledge in areas such as practice strategies, psychological issues, interpretation and artistry, and technical aspects of playing the violin or viola. Janet has performed with various orchestras and chamber groups in southern Ontario, Kingston, and Newfoundland. She also toured in Europe as part of an orchestra associated with the Sessione Senese per la Musica e l'Arte. 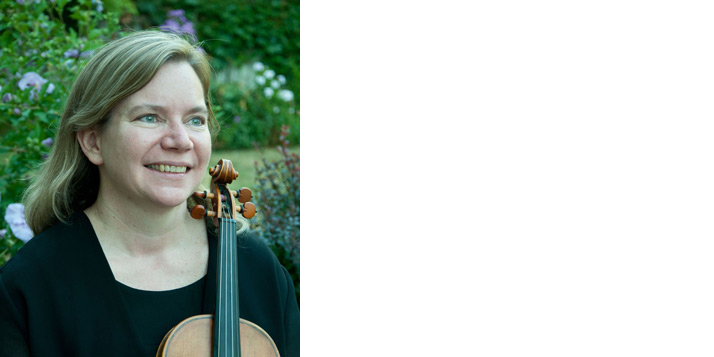 Currently Janet is also kept very busy with her two young children, both violinists of course!